West Hall has always been a town of strange disappearances and legends. The most mysterious is that of Sara Harrison Shea, who was found murdered in the field behind her house in 1908, a few short months after the tragic death of her daughter, Gertie, drove her mad. 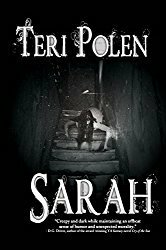 People say that Sara’s ghost still walks after dark, and some leave offerings on their doorstep to keep her from entering their homes uninvited. Now, in present day, Ruthie lives in Sara’s farmhouse with her mother, Alice, and her younger sister, Fawn. Alice has always insisted that they remain on the fringes, living off the land without internet or outside interference. But one morning Ruthie wakes up to find that Alice has disappeared without a trace. When she searches the house for clues, she is startled to find a secret compartment beneath the floorboards that contains two objects. One, a gun. And two, a copy of Sara Harrison Shea’s diary. What a great book this was to read around Halloween! When I started this novel, I was also reading three other books at the same time, but dropped them to focus on this one because I couldn’t wait to see what would happen. 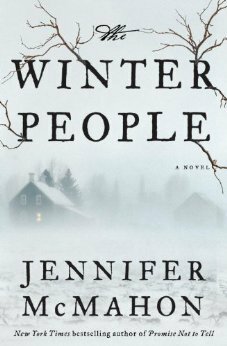 A small New England town during winter, disappearances, murders, and ‘sleepers’ – what a perfect setup for a captivating read. I’m not giving anything away when I say the ‘sleepers’ in this story brought to mind Stephen King’s Pet Sematary – the sleepers are mentioned on the first page by Sara in her diary. This is the first book I’ve read in quite some time where the story is told primarily in varying female perspectives. The reader is taken back to the early 1900’s in Sara’s point of view and then to present day from Ruthie and Kathleen’s perspectives. Sara’s husband also gets a couple of chapters of his own, but those just helped me understand Sara even more. It became evident early on there was a connection between most of the characters in this story and the mystery of that is what kept me turning the pages. I enjoyed all the characters in this book, even if I doubted their sanity and innocence at times. As a mother, I could understand Sara’s grief, her inability to let go of her child, and the boundaries she crossed to keep that from happening. This was a wonderful blend of thriller, mystery, and horror genres – not the blood and gore type, more of the goosebumps-on-your-arms, hair-on-the-back-of-your-neck-raising, don’t-look-over-your-shoulder kind. 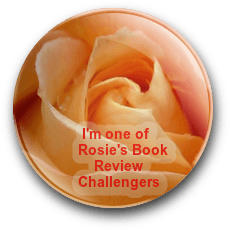 I haven’t read anything by this author before and, looking at some other reviews, this is apparently a different path for her, but I enjoyed the journey. Well, you obviously need to add it now, Ionia!